The poll was conducted in the days immediately following a deadly school shooting in Southeast Texas. Fifty-four percent of Texas parents who have children in public schools support arming teachers and other school officials, according to polling numbers from Quinnipiac University released Thursday. Meanwhile, a plurality of registered voters — 49 percent — support stricter gun laws, according to the poll. That number is down from 55 percent who said they favored stricter gun laws in a Quinnipiac poll on April 19. Forty-five percent of voters oppose stricter gun laws — up from 41 percent in April, according to the poll. 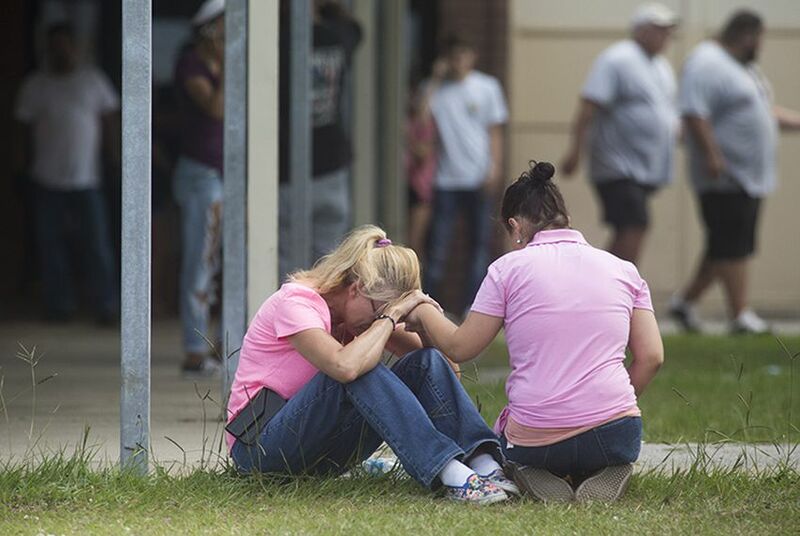 The new polling was conducted after a deadly school shooting May 18 at Santa Fe High School, south of Houston, left 10 people dead and 13 more injured. The data was collected before Republican Gov. Greg Abbott rolled out a school safety plan in a pair of televised appearances Wednesday. Much of Abbott’s plan revolves around bolstering an existing state program for arming some school staff. Abbott’s compiled the plan after three days of roundtable discussions on the issue last week. It includes a slate of measures aimed at “hardening” schools to make them less vulnerable targets, as well as bolstering mental health screening programs with upped state funding. But Abbott also proposed a short list of gun-related measures, including promoting safe storage practices and studying the viability of a “red flag” law that would allow a judge to temporarily take an individual’s guns if that person was considered an imminent threat. In the new poll, support for imposing background checks on all gun buyers hovered relatively unchanged around 93 percent. Sixty-four percent of voters surveyed said parents should be legally responsible if their children commits a crime with their guns; and 64 percent supported a law requiring guns be kept under lock and key. Eleven states have codified some form of that requirement, but Texas has not. The Santa Fe shooting suspect, 17-year-old Dimitrios Pagourtzis, used his father’s guns in the massacre, authorities say. But the family will likely not be held accountable for allowing him to access those weapons because he was 17, too old to be covered by Texas’ child-access prevention law. The poll was conducted from May 23 to May 29. The university surveyed 961 registered voters. The margin of error was 3.9 percent.